We’ve all seen the National Geographic specials featuring an animal that’s been isolated and brought down by a pack of carnivores. The pack tears out its throat to assure death, then proceeds to rip the carcass to pieces. Occasionally, we see similar behaviour in politics, and we’re witnessing it presently in the US. In 2016, it became clear that a Washington outsider, Donald Trump, would be the Republican candidate. Both Democrats and Republicans within the beltway looked upon this development with horror. This was a man who had not sold himself to one party or the other and therefore was not a puppet of the Deep State—the aggregation that actually owns and controls the US. Republicans in particular panicked, as it became possible that their candidate, of whom they wanted no part, might actually win. Some pretended to support him; others vilified him. Ironically, this only served to further embolden the American voting public that Mister Trump was indeed their man—someone who might actually “drain the swamp,” as he repeatedly claimed he would do. Wall Street hates these “Silicon Valley Accounts.” They can't make commissions off them. But these “accounts” are generating fortunes for regular Americans. They've returned 1,000 times as much as conventional IRAs or 401(k)s, over 800% this year. And they're likely to go up much more. Two of our “account” recommendations are up over 1,000%! Get the details here. It should be remembered that the six corporations that own and control 80% of the media, are, in turn, owned by the Deep State itself, so it shouldn’t have been surprising that, when Mister Trump actually won the election, the media immediately sought to discredit him by any means possible, in order to get him out. They began their attack immediately, and the attack quickly ramped up into a feeding frenzy. In addition, on a daily basis, the media have heaped on further accusations as often as they can, with pundits appearing nightly on the evening news, repeating incessantly that Mister Trump must be removed as soon as possible. To make matters worse, the man that so many Americans thought of as their great hope has reacted by screwing himself into the ground. He’s behaved arrogantly and defiantly, repeatedly putting his foot in his mouth, providing further incentive for the hyenas that are biting at his flanks. Every time the press goads him, he makes some new self-destructive statement, behaving like a rank amateur and assuring that, one way or another, he will self-destruct. 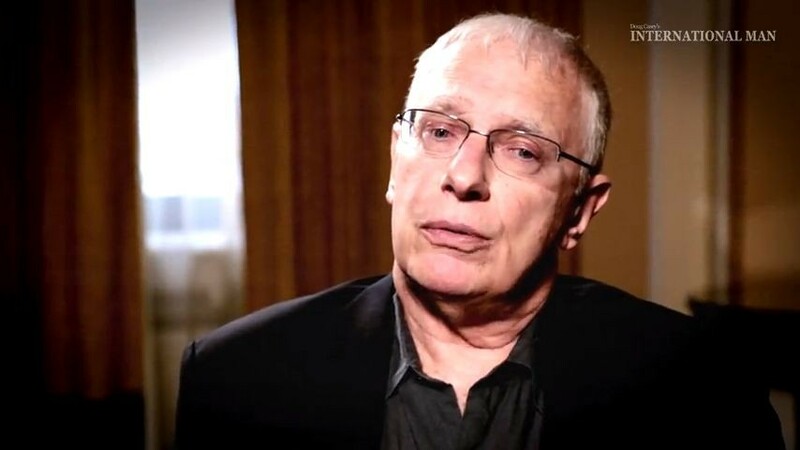 In a discussion with Doug Casey and Nick Giambruno recently, each of us drew the same conclusion. So what’s going on? Who is this guy really, and what does he think he’s doing? 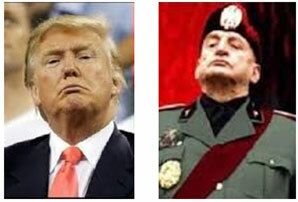 Well, back in 2016, as Mister Trump began to build up a head of steam against his opponents, I repeatedly observed body language that reminded me of Benito Mussolini. Each had the odd habit of jutting out his chin in a defiant and imperious manner. So I looked into his past to see if it would offer any insight into his character. His siblings said that, from a young age, it was already clear that no one could tell him anything. His behavior suggested that he was the boss of the world and that was it. Peers observed that he would say anything that came into his head, then would refuse to admit mistakes, no matter how obvious it was that he was wrong. He would sit with his arms folded, daring others to defy him. Later, as a businessman, his primary fixation was winning, getting the best of others. It was said that he wasn’t interested in mutually beneficial partnerships; he had to outsmart and belittle others. He appeared to have little regard for truth and found that he could keep others off-kilter by dramatically changing his story, then digging in his heels that there was only one truth and it was whatever he just said it was. Then, seemingly at random, he’d change it again. In considering pathology, Mister Trump fits well into the category of “productive narcissist.” As such, he has strengths that are created by and driven by his ego, but he also has inherent weaknesses as a result. He can’t cope with being dismissed, laughed at, or derided. He may toss out a poorly considered con, assuming that his greatness will get others to accept it instantly, since it came from him. If the con is immediately dismissed by others, he may retaliate with a replacement con… and anger. Since his inauguration, Mister Trump has made huge leaps from the stated policies of his campaign. Does this mean that he’s abandoned his core beliefs? Probably not. Narcissists tend not to actually believe in anything except themselves. It may well be that, during his campaign, he simply took a stance that would allow him to win and, after taking office, found that the president is not in charge—the Deep State is. Their goals tend to remain the same regardless of the party or the president in office. Since his inauguration, Mister Trump has jumped all over the board on policy. The media have responded by attacking both his original positions and his reversed positions. Clearly, their attacks have nothing to do with policy; they have to do with discrediting and removing the president. It’s unclear as to whether the media recognize his psychological Achilles’ heel, but they’re most certainly attacking it on a daily basis. The approach seems to be working, as the president becomes increasingly unnerved and makes evermore frequent gaffs, digging himself deeper into the hole that he’s in. We’ve said on many occasions that the world economy is on the cusp of a series of major crashes—markets, currencies, and, very possibly, entire governments. Many people in the US appear to see the likelihood of this eventuality—enough so to vote for a man whom they hoped would “drain the swamp.” That will not happen. If the Deep State play their cards right, they’ll wait until the first of the crashes, and, just as they did in 1929, blame the outsider—the wealthy conservative who has the misfortune of holding office at the time. Only then would they gain maximum traction in calling for the resignation of the “failed” leader. Editor’s Note: Although the US is headed for a “really ugly disaster,” many investors will come out far richer than they are today. 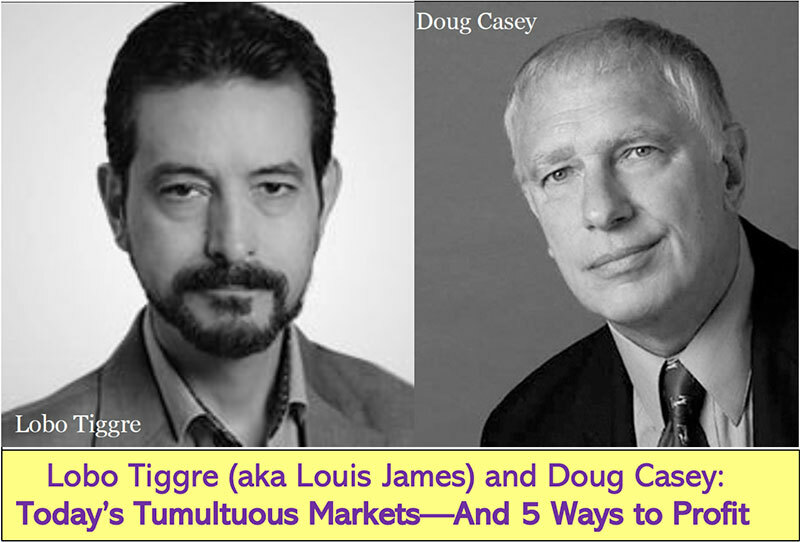 New York Times best-selling author Doug Casey and his team know how you can be part of this exclusive club. We’re sharing our breakthrough strategies in this urgent video. Click here to watch it. Doug Casey and his team know how you can be part of this exclusive club. We’re sharing our breakthrough strategies for turning the worst crisis into the moneymaking opportunity of a lifetime in an urgent online video. Click here to watch it now.